# 1 in Automotive Dealer Supplies Lower Prices & Great Selections! 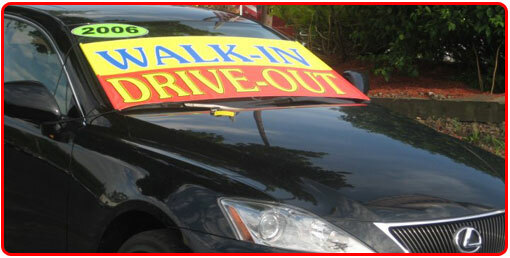 Grab attention and drive customers to your front door with bright, colorful and inexpensive automotive dealer supplies. Can't find an item on our site? Contact us for price and availability! If you find a better price from one of our competitors call us at 1-(518) 465-9900 and we will beat their price!! 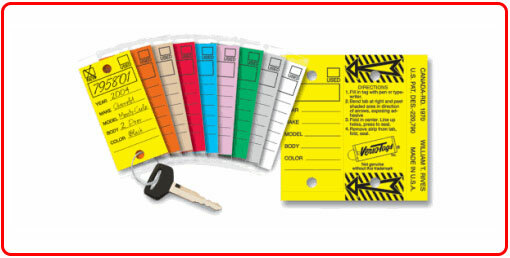 Starter Kit for auto dealers.Comes complete with great quality metal NYS dealer sign paper work includes your lemon law,Odometer statment,buyers guide,Billof sale and book of registry. Carpet Film 24"x200' 4 mil that's perforated every 21". 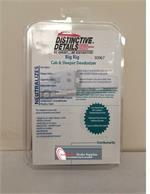 Adhesive plastic that great for detail shops. Has a decal on the plastic saying "Dealer Must Remove". It also adheres to Floors, carpets, and many more! 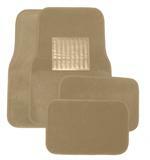 Carpeted Floor Mat Set of 4 Pcs and 10 sets to case. Available in Black, Light Tan, Dark Tan, Light Charcoal, Dark Charcoal, Burgandy, and Blue. 9 1/2 x 13 1/2 Tag Tote!! Holds dealer tags (plates) for test drives. 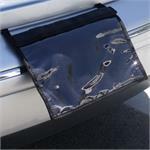 Easily secures to vehicle by closing the trunk lid or hatch on the Tag Tote strap. Shines and Protects, Clear mist, High Gloss. Wholesale absorbents and bulk spill control products are a low cost prevention against a potentially high cost spill. 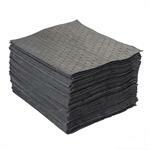 Bulk universal absorbent pads offer maximum absorbency for big leaks and spills. 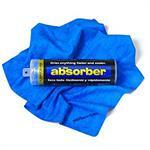 The Absorber 27 x 17 in. Absorbs like a sponge but handles like a towel. Drys cars in 2-3 mins. Drys anything faster and easier. Can be used on all surfaces. Unharmed by grease or oil. Its machine washable. 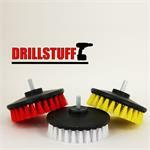 3 Style brushes for your detailing needs!!! 200 Gram Clay bar! Blue is for Medium contaminations and Purple is for Heavy Contaminations!!! The Odor Rescue room deodorizing kit is a new biodegradable Chlorine Dioxide technology that can be used to deodorize larger cars, boats, trucks and any unoccupied enclosed space. Odor Rescue controls the growth of mold and mildrew, kills odor. Perfect for any Trucker!! The Odor Rescue room deodorizing kit is a new biodegradable Chlorine Dioxide technology that can be used to deodorize larger cars, boats, trucks and any unoccupied enclosed space. 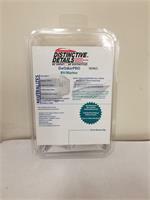 he Odor Rescue room deodorizing kit is a new biodegradable Chlorine Dioxide technology that can be used to deodorize larger cars, boats, trucks and any unoccupied enclosed space. 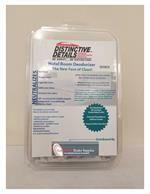 Odor Rescue controls the growth of mold and mildrew, kills odor. If you are looking for a wholesale auto dealer supply source you have come to the best destination. 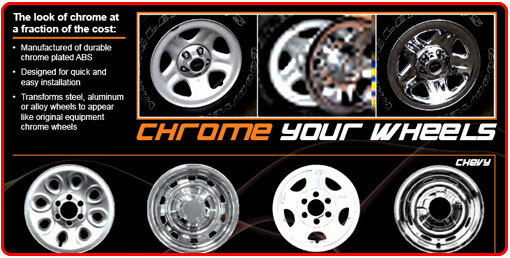 Automotive Dealer Supplies specialized in being a one stop shop for all your auto dealer supply needs. Whether you need one box of Versa Tags or an order of custom license plate frames, we are here to help you keep your dealership well stocked. 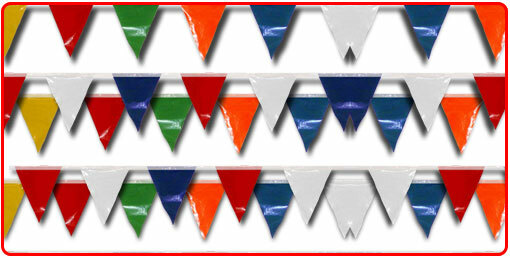 You can find a variety of auto dealer supply Banners, Balloons and Flags to fit every sale or holiday occasion. Keep the cars on your lot looking inviting with the latest in car detailing chemicals, glass cleaners and bright windshield numbers. As your auto dealer supply store, Automotive Dealer Supplies provide all of your wheel covers and moldings, vinyl decals and state required books and signs. Make your upholstery shine like new with a great selection of Car Detailing Chemicals! Get the job done right! Order your Vinyl, Leather and Fabric Cleaning Car Detailing Chemicals today! 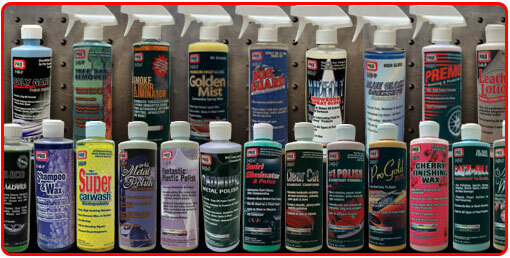 Featuring Pro Products Carpet and upholstery cleaner concentrates for use in extractor cleaning machines. Pro Products Carpet and upholstery cleaner leaves carpet and upholstery cleaner, brighter and softer. Pro ProductsCarpet and upholstery cleaner has a pleasant fragrance, No sticky residue, Low foaming, and is Biodegradable. The Pro Products line of Car Detailing Chemicals also offers Pro Products Vinyl And Leather Cleaner and Pre-Spray Spotter for superb auto interior cleaning. 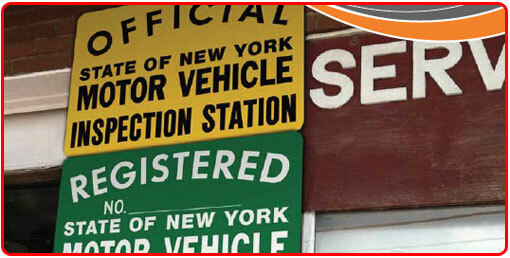 New York State Registry Book, also known as a Police Book is required by NYS DMV for all auto dealers operating in NYS. The NYS Registry Book is Spiral Bound for extra durability. 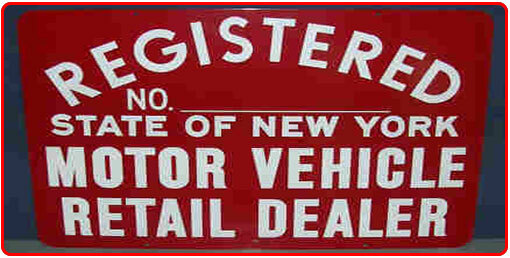 New York State Registry Book has 100 pages for 400 entries of purchases/sales records. NYS Registry Book is printed on one side of the page and the pages are pre-numbered for easy entry. 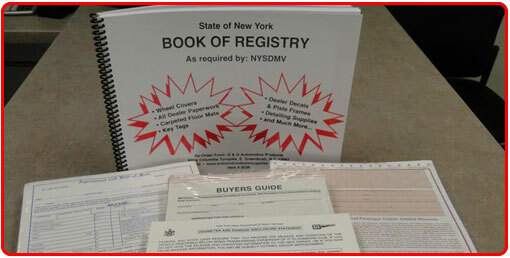 Get your NYS Book of Registry today. Automotive Dealer Supplies by Automotive Dealer Supplies, LLC is a full-service professional auto dealer supplier headquartered in Menands, New York. Maintaining our reputation as “#1 in Automotive Dealer Supplies”. 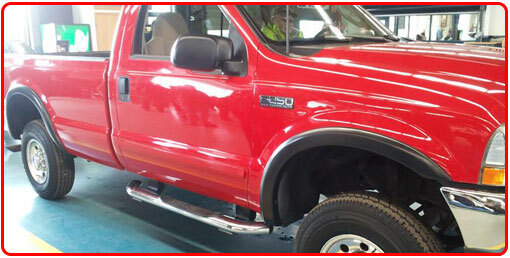 Automotive Dealer Supplies, LLC is committed to providing superior customer service and the highest quality of products. We also offer the most competitive prices and a full range of Automotive Dealer Supplies and car detailing chemicals that make it easy for our Customers to do their “one stop shopping.” Automotive Dealer Supplies by Automotive Dealer Supplies, LLC welcomes the opportunity to work with you to achieve your vision of excellence.